Tutorial: Connecting Content-Creation Workgroups with the ProMAX Platform Portable Y – Vancouver Video Production Company – Shawn Lam Video Inc. 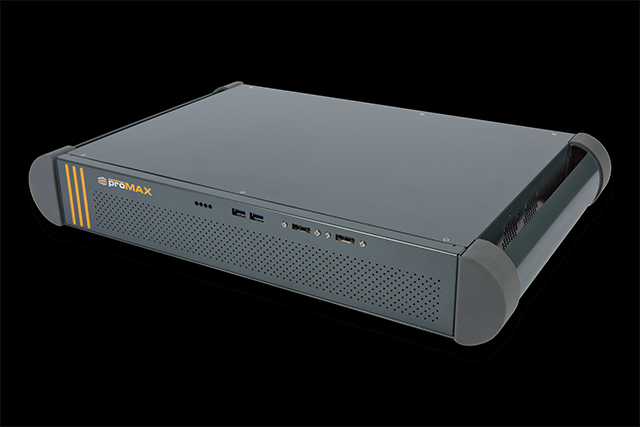 Whether you need to connect multiple workstations together with shared storage or multiple storage devices to a single workstation, the ProMAX Platform Portable series (Figure 1, below) has you covered. 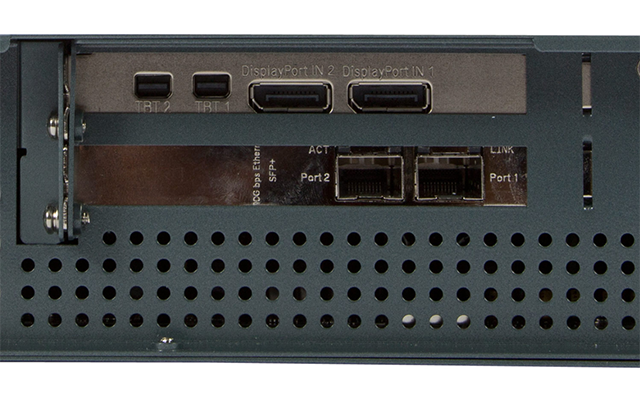 Small content-creation workgroups who have a large investment in external FireWire and USB drives will appreciate the legacy support, while those who require modern connection protocols for faster connectivity will love the ProMAX Platform Portable for its eight USB 3.0, two eSATA, and two Thunderbolt 2.0 (Figure 2, below Figure 1). The Platform Portable lets small workgroups solve the problems associated with the sharing of external portable hard drives. This shared storage solution doesn’t require a costly reinvestment to replace and upgrade legacy external hard drivers, and it offers so many storage expansion port options. It frees creative types from having to worry about the technical compatibility details that are common when working with content in different file formats, including FAT32, exFAT, HFS+, and NTFS. The Platform Portable series is available in X and Y models. The X model starts at $5,995 at videoguys.com, and the Y model features a faster processor and a 2 TB on-board SSD RAID, which is great for video workflows that require proxy generation, transcoding, and After Effects and Cinema 4D rendering. All you need to do to get started is to connect your Platform Portable to your workstation via ethernet. You can do this over your existing Internet network but you can also connect one of the additional ethernet ports on the back of the Platform (Figure 3, below) to your workstation, provided it has a secondary network card.